Bottled water drinkers are part of a large and growing trend. In this decade alone, Americans have increased their annual consumption of bottled water by more than 11 gallons per person, from 25.4 gallons in 2005 to 36.5 gallons in 2015. In fact, bottled water is expected to overtake soft drinks as America’s largest beverage category by volume by 2017, if not by the end of 2016. While it’s good news that Americans are choosing bottled water as a healthy alternative to other bottled beverages, including soft drinks, it seems that we’ve taken this health-conscious beverage swap to an “unhealthy” extreme. Sure, it’s great to buy water instead of soda, but our careless over-consumption of bottled water has a huge and growing impact on the environment. I’d like to start by debunking the attributes of the ubiquitous bottled water that, according to the IBWA, have “undeniable appeal” to U.S. consumers. Healthfullness: While bottled water is healthier than soft drinks and other bottled beverages, it is by no means healthier than tap water. Pick yourself up a refillable water bottle and make a habit out of visiting the many refillable water stations that are popping up around the world. If you live somewhere that hasn’t quite caught up with the refillable trend, consider buying a refillable bottle with a built-in filter so that you’ll feel good about filling up with tap while on the go. There’s a wide range of filter bottles from this simple Brita to the extreme Lifesaver bottle, which can also get you through an emergency. Convenience: Americans love the convenience of a portable plastic bottle but does it really need to be disposable? Again, invest in a refillable container and make a habit out of keeping it full. In no time this solution will feel more convenient than anything else. Especially when you factor in the option to customize your water by adding booster drops, such as these Alkaline Drops with Antioxidants or natural flavor, such as H2wOw. There are small portable enhancers to meet just about any supplement or flavor boost you want, giving you the ability to completely personalize your water and have some fun with your hydration. Reliability: Is bottled water really any more reliable than tap? I would argue that tap water is one of the most accessible things in the U.S. We are so fortunate to basically be guaranteed clean and safe tap water, this is a luxury that should be appreciated! Safety: Many people choose bottled water because of concerns about the safety of their tap water, in some cases, these fears are reasonable however for the vast majority of people in the U.S. tap water is just as safe, if not safer. And, according to several blind taste tests, such as this one, tap is just as tasty as well. 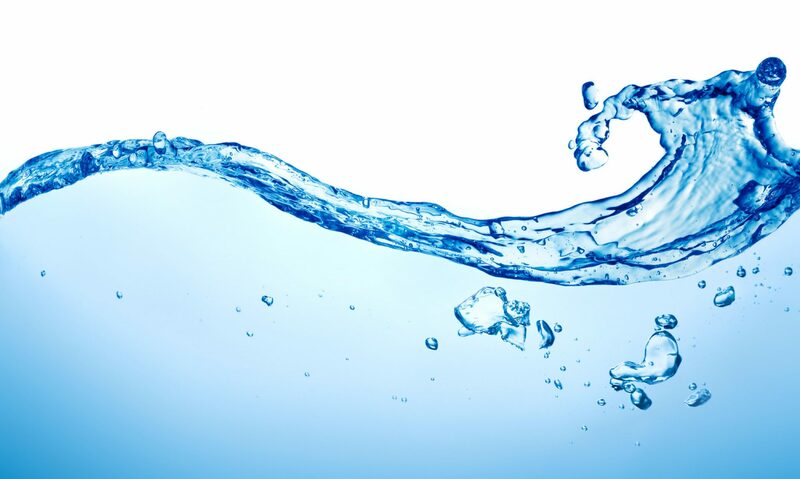 In the U.S. tap water is held to higher safety standards than bottled water. Tap water is regulated, often screened for dangerous pollutants and city government offices are required to share water information with their residents. Bottled water isn’t subject to the same reporting standards and doesn’t usually have to state what source it comes from or what methods were used to treat it. In addition, some microorganisms, that are normally of little or no public health significance, may grow to higher levels in bottled water. For example, Food Safety News reports that in June 2015, 14 different brands of bottled water had to be recalled because of possible contamination with E. coli bacteria. What’s more, the plastic used in single-use bottles can pose more of a contamination threat than the water itself. When you look closely, IBWA’s attributes of so-called appeal aren’t valid, and are quite “deniable”. These claims are fueled in part by the huge marketing effort of the major water companies and bottling industry and in part by consumers, who need to justify their frivolous purchase of water. In general, bottled water is no more pristine, tasty or healthy than water straight from the tap. However, there are, in fact, real attributes to consider the next time you think about paying $1.50 or more for a bottle of water. The cost bottled water has on the environment and your wallet is very real. Bottled water is far more expensive than tap water, and it also uses many more resources to package, ship, and dispose of when the bottles are empty. Price: A Business Insider column noted that two-thirds of the bottled water sold in the United States is in individual 16.9-ounce bottles, which comes out to roughly $7.50 per gallon. That’s about 2,000 times higher than the cost of a gallon of tap water. Not only does bottled water contribute to excessive waste, but it costs us a thousand times more than water from the faucet. Furthermore, when you pay a price premium for bottled water, what you’re getting is often just tap water that’s been filtered or purified in some way. Both Dasani, bottled by the Coca-Cola company, and Aquafina, bottled by PepsiCo, start out with public water sources. Environment: Bottled water is a drain on the environment. The bottled water industry uses 1.5 million tons of plastic annually to package water, and the manufacturing and disposal of the plastic sends toxic chemicals into the environment. Transporting the bottles and keeping them cold also burns fossil fuels, which give off greenhouse gases. And, according to some estimates, it takes up to three liters of water to produce one liter of bottled water! In addition, groundwater pumping by bottled-water companies draws heavily on underground aquifers and harms watersheds. Some major bottled water companies are making the drought in places like California worse, and violating local communities, by taking water for bottling on expired (and potentially illegal) permits. Don’t get me wrong, I do believe that bottled water has a place and plays a vital role when public water supplies are compromised, such as in the aftermath of a natural disaster. So much so that I even wrote a post just last week urging readers to purchase bottled water to have on hand in case of an emergency. When clean tap water is unavailable, I appreciate that the bottled water industry is instrumental and has been (and will continue to be) there to ensure that people have access to safe, quality water. In developing countries where there is not a safe source of tap water, bottled water is necessary. And sure, even with our access to clean, safe tap water, there will always be times when buying a bottle of water is justified, such as on days of travel or when forgetting your refillable container. It’s not an all or nothing situation but it is an opportunity to be mindful of times of careless over-consumption. Bottled water clearly comes with a cost, both for consumers and the environment. We can each make a difference individually by choosing tap water more often. Previous PostPrevious Do You Have Enough Water Stored For an Emergency? Need an Idea for an Original & Easy Holiday Gift? Do You Have Enough Water Stored For an Emergency? Visit My H2wOw profile on Pinterest.